You may have noticed that I haven't been posting recipes quite as often as I have in the past. Well I have a good reason. I didn't have a kitchen for 6 weeks. Well I'm back in action now, so I thought you might like to see some before and after pics. I'll warn you - this may take awhile. Our house is 20 years old, so it was definitely time to make some updates. My husband and I talked about it a lot. He said lets go for it. How would we make all of those decisions? 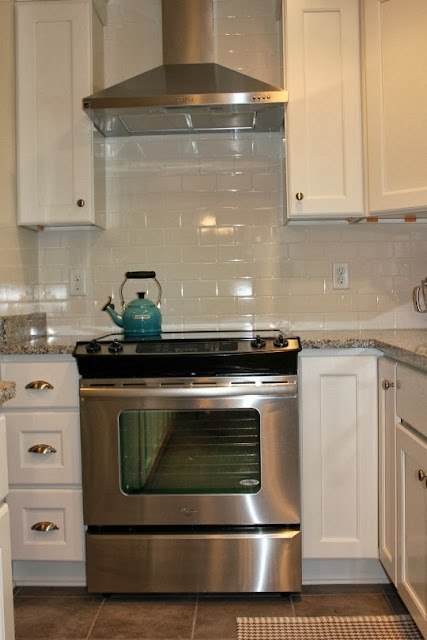 Appliances, faucets, tile. Who could design the kitchen we thought we wanted? How would we find a good electrician, plumber, tile installer, painter, etc.? Scott Miller Construction to the rescue! My cousin Scott is a builder/contractor. He and his wife Mendy said they would help us from beginning to end. And help us they did! They went above and beyond to get us our dream kitchen! 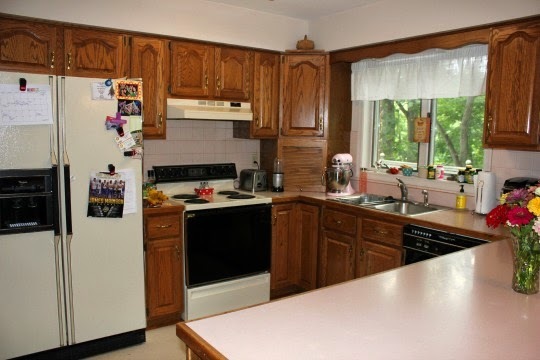 Here is what our kitchen looked like before the remodel. 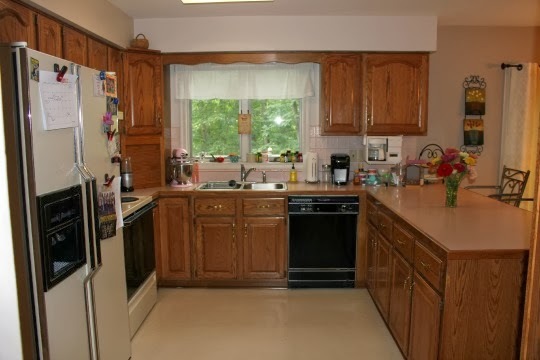 Mismatched appliances, linoleum flooring, brass cabinet pulls and Formica counter tops. It all needed to go! My beloved pink mixer got kind of lost with all of the clutter around. Scott and Mendy set us up with a kitchen designer. Leslie from Classic Kitchen & Bath. We told Leslie what we thought we wanted, how much we could spend and she took it from there. She came up with a beautiful plan, stayed within our budget and was such a joy to work with! 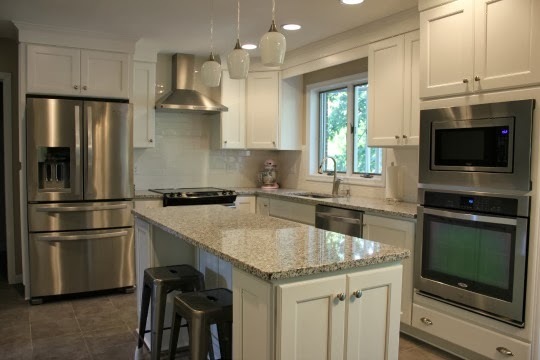 If you are thinking about remodeling your kitchen or bath, you should definitely give Classic Kitchens a call!! Scott lined everyone up and told us when he would be at our house for demo day. All of my family came over and helped us tear out our old kitchen. That's my husband saying "there's no going back now"! 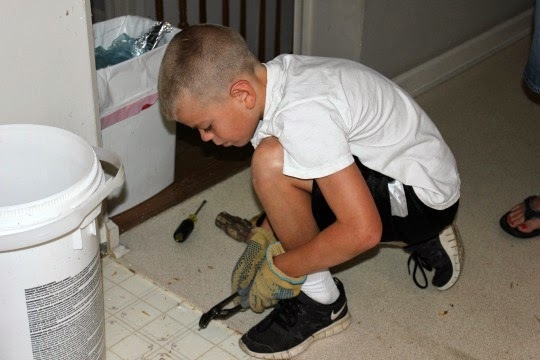 My nephew, Peyton was a huge help! That's me tearing out 20 year old linoleum tile - yuck! So for 6 weeks after demo day we grilled, cooked on a hot plate and ate out ALOT. I also had to go to a laundry mat since we semi-remodeled our laundry room too. That part kind of sucked. But it was all worth it because here is what our kitchen looks like now!! Stainless Steel Whirlpool appliances, beautiful white cabinets, granite counter tops, subway tile back splash, new lighting and ceramic tile flooring. I've got two ovens now!!! Lots of pantry and storage space. 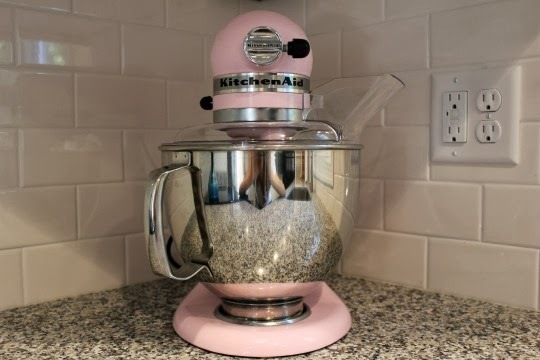 My pink mixer is so happy in her new home! Classic Kitchen and Bath and my family for helping us with this huge project! Hope you enjoyed taking a glimpse of our remodel project. Now I'm ready to do some baking! 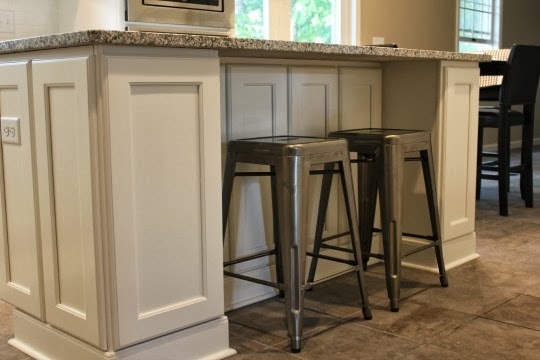 Wall paint color- Lowes Valspar "Hopsack"
Floor tile - Lowes "Fossil"
Cabinets - River Run Cabinetry "Mt Vernon Snow"
Quite the transformation! The new kitchen looks great, and much more functional than the old one. The remodel process can be stressful, but is well worth it in the end! 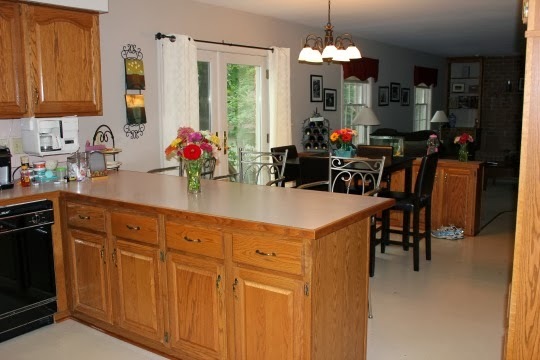 Your kitchen looks so beautiful, I have also done a few changes in my kitchen. The ditto counter top is in my kitchen now made of granite, bought right away from the quarry itself. There are other thing also made of granite which looks so beautiful and gives a rich look. Beautiful!!! Simply beautiful!! Y'all did a great, great job! I seriously love your kitchen. 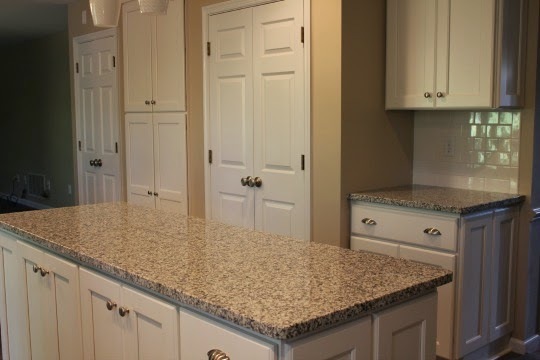 I am putting the same granite in my kitchen, or looks almost the same, but am having trouble picking out floor tile and wall color (I also have white cabinets) - could you share details on yours? It really all works together great. Thank you!! We love the new look! I have updated the details such as wall color, flooring, etc at the bottom of my post. Good luck with your renovation. 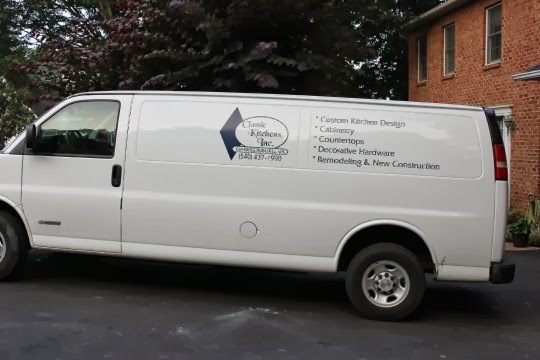 Kitchen renovations are not easy but apparently you have taken support from professionals so that might have worked out things for you.